While southwestern Ontario is not as large an apartment market as the City of Toronto, nor does it have the runaway growth of the rest of the Greater Toronto Area, exciting things are happening here. Southwestern Ontario has emerged into the 21st century with a vibrant economy based on high-tech, biotech and other high-skill, high-return industries. While some centres, like Windsor and Sarnia, are shaking off economic chills from their troubled manufacturing sectors, centres like Waterloo Region are gaining an international reputation for forward-thinking development that’s providing good jobs now and into the future. The area’s transportation connections are strong and getting stronger. The presence of Highway 401 has generated a corridor of jobs between Windsor and Toronto that areas like Hamilton-Niagara have not been able to duplicate. Mention should also be made of the work done by the area’s post-secondary institutions, which have expanded, added satellite campuses and spinoff businesses, producing a boom of new student housing in a number of cities. Centres like Waterloo, Kitchener and London are revitalising and attracting young urban professionals that are the bread-and-butter for apartments. Development in the Greater Toronto Area may become so heated that activity in southwestern Ontario could be overlooked. Investors who take a second look may find good deals waiting for them to the west of the GTA. The Region of Waterloo, taking in the cities of Kitchener, Waterloo and Cambridge, is a diverse and vibrant economy, offering a mixture of manufacturing, high-tech and services. Home to two universities and a technical institute, and near enough to the Greater Toronto Area to attract commuters, the area is building a wide variety of housing stock to house its burgeoning population. Although the region was affected by the 2008 recession, employment growth has remained steady. The region’s unemployment rate rose above the provincial average in 2009 and dropped below it in 2010 as the area’s reputation as a job centre brought an influx of workers before the job market could catch up. The recent focus on the problems of major employer Blackberry (formerly Research in Motion) is a concern, but the area’s tech sector is large and still growing. These factors, along with favourable policies enacted by the local and regional governments, have already led to a boom in new apartment construction. Other university towns should learn from Waterloo’s example. Students represent more than 30% of the population and likely the majority of renters. Demand is increasing faster than supply. 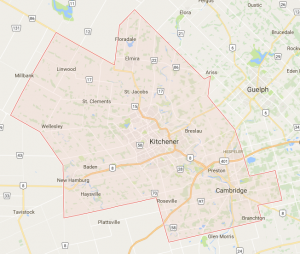 The region of Waterloo as a whole now holds over half a million people, and it is expected that this population will grow to 750,000 by 2031. The regional government is pursuing a policy of urban intensification, including approval to build a light rail transit line. All of these factors will lead to an increased demand for high-rise rental stock throughout all three urban centres, but especially for the city of Waterloo. Waterloo’s growth as a high-tech centre and its fostering of student housing bode well for the apartment industry in this city. A construction boom is already underway, and the potential for growth remains strong. Vibrant student market will continue to grow; buying, building and repositioning opportunities vary depending on proximity to universities. 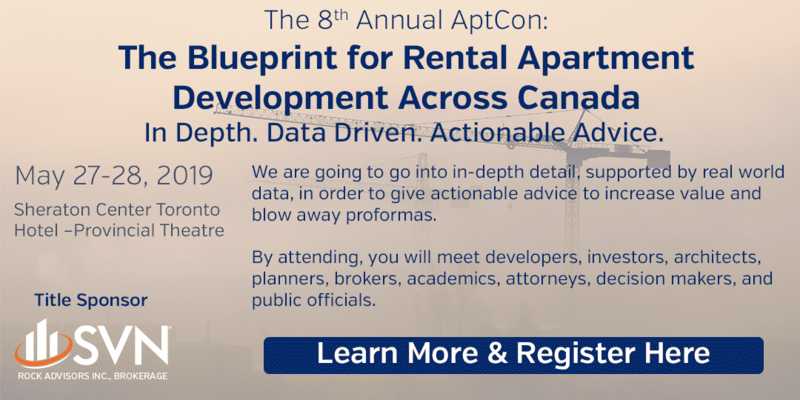 Several major developers operate in Waterloo, GTA developers need to enter with caution. Corporate interest in this city is strong and getting stronger, which is a concern for small owners. Given Waterloo’s growth, supply is low. New supply will be easily absorbed into the rental market. Strong demand will limit the availability of bargains.